10 minutes to the CBD of Bunbury. Zoned light industrial. 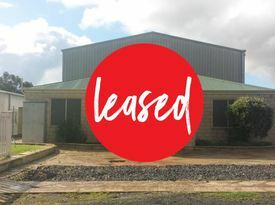 This lot is serviced, has 3 phase power, scheme water, excellent exposure to future Bunbury Bypass, close proximity to major transport corridors, road, rail and port with easy road train access. This sub-division ticks all the boxes.The block is in a prime location. 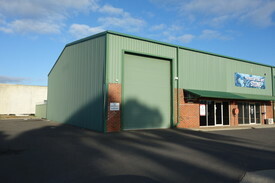 1 Kerr Rd has an approximate area of over 1800m2 of quality built warehouse/storage/workshop facility. The land area is 4216m2 which allows easy access for trucks etc. Owner wants some action and will consider offers. Look at the plans for the Port, Collie and surrounds. THIS IS EXCELLENT VALUE! QUALITY PROPERTY(S) FOR L.. Price: Priced From $10,000.00 pe.. WAREHOUSE OFFICES IN SOU.. Price: Priced From $36,000.00 pa..
FOR LEASE.. Price: Priced From $55.00 per sq..